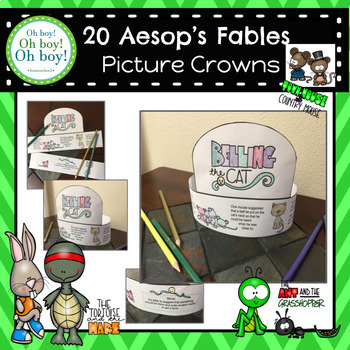 Thanks so much for viewing our “Aesop’s Fables Crowns” packet! This packet is designed to offer a fun, engaging and educational way to practice fine motor skills, pencil grasp and letter recognition during your school year. This packet is low prep. 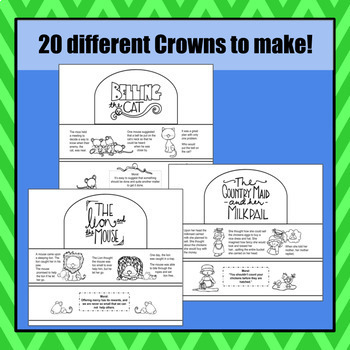 Simply print the crowns you want your students to work on. 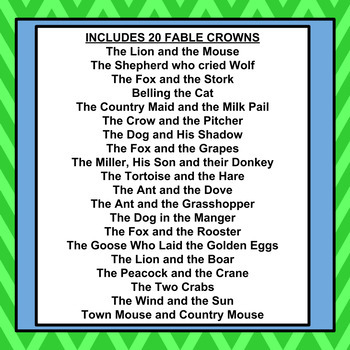 There are 20 fable crowns included within the packet. 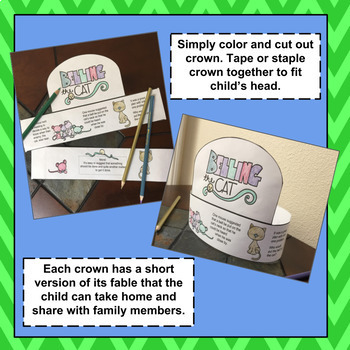 For this activity your students will color the pictures as they learn the story and moral. Cut the crown and band out. Staple or tape them together and fit to individual child’s head.